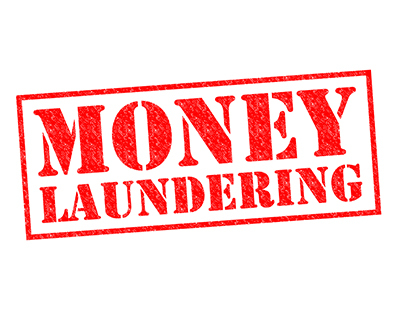 A report from anti-corruption campaign group Transparency International says British estate agents reported only 179 suspicions of money laundering in a year. 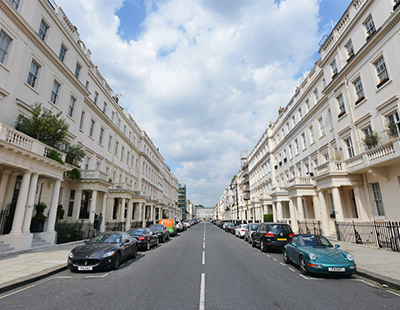 In a far-reaching report covering many sectors of trading, TI says the real estate sector in the UK is particularly vulnerable to being used to launder the proceeds of corruption as it allows substantial sums to be ‘parked’ in the purchase of a single high-value asset - usually in prime London - and the funds can later be reinvested elsewhere. IT says estates agents have one of the lowest ‘Suspicious Activity Reporting’ records of any industry for the period for October 2013 to September 2014 - just 0.05 per cent of all SARs, representing a fall of 16.74 per cent from the previous year. Critically, the group claims that a government analysis of SARs submitted by the property sector revealed that in a number of cases, activity was only reported once law enforcement authorities identified an interest to the reporter. The report goes on to say the luxury new-builds in central London [many of them sold by high-end estate agents] are particularly associated with high levels of exposure to money-laundering. The report also speaks at length about the link between property purchase and offshore company secrecy. It says: “The UK’s official record of corporate landholdings, maintained by the Land Registry, shows that there are over 36,000 properties in London held by companies registered to offshore secrecy jurisdictions, both residential and commercial, representing an estimated 2.25 square miles of London property. “Out of all foreign-company-registered properties in London, the overwhelming majority (89.5 per cent) are located in secrecy jurisdictions, chiefly in British Overseas Territories and Crown Dependencies. More than a third are registered in the BVI (13,831 properties), followed by Jersey (5,960), the Isle of Man (3,472) and Guernsey (3,280). As it says money laundering checks rely on lawyers which does not take account of complicit lawyers. So, this whole swathe of red tape, that the politicians promised to reduce, is to look out for the rare bent solicitor. Thousands of money laundering checks on little old ladies or local families that you see in Tescos have to be checked for money laundering. It is a really ridiculous. I wish the NAEA would get behind getting rid of it and allowing some common sense. I think what was meant is that corrupt solicitors can circumvent the AML system, so it would indeed be good to spot the rare bent solicitor helping drug dealers, corrupt politicians and terrorists launder criminal funds into real estate as you say. The main game is for the rest of us to keep a weather eye out for the criminals misusing our businesses and reputation to park the proceeds of serious crime in our neighbourhoods. If we saw a petty criminal trying the door handles on our neighbours cars and houses, we'd call the cops. When some of the worlds worst criminals try to jemmy open the doors of our real estate and solicitors' businesses to see if we'll help criminals profit even more from the misery they've already caused, it's not too much trouble to drop a line to the coppers. Filing a SAR also helps protect your business if later it's found the deal you weren't sure about really was dodgy. Rymans report a large increase in the sale of brown envelopes. Now that might be a story! I could not agree more with you. There is little room for logic and/or common sense these days. Since agents don't see any buyers cash how on earth can they be expected to vouch for it - completely barmy. NAEA and all the rest should get a grip on reality. Ouch. ...................... The trouble is that AML is part of statute whether the industry likes it or not. I'm being neutral. A SAR (suspicious Activity Report) isn't just about reporting funds in transfer or when the horse has bolted, but to raise concern over suspicious activity, ie irregular sellers or buyers!! An honest agent in the loop may also identify a dodgy solicitor or rogue valuer. Agents are required to have 7 main parts in place including an approved nominated AML officer. AML checks are good for business. The "local families & little old ladies" pass easily; you know they're legitimate vendors/purchasers, and they are comforted dealing with a reputable agency protecting our community from some of the world's biggest criminals. There are lots of known red flag indicators for when drug dealers, corrupt politicians stealing from their countries and other serious criminals want to launder criminal money into property; the knock on the door might come years after the commission was earned, but an investigation in which your firm becomes known as having turned a blind eye to serious criminals, maybe even terrorists, is hardly going to be good for business from the real local families.